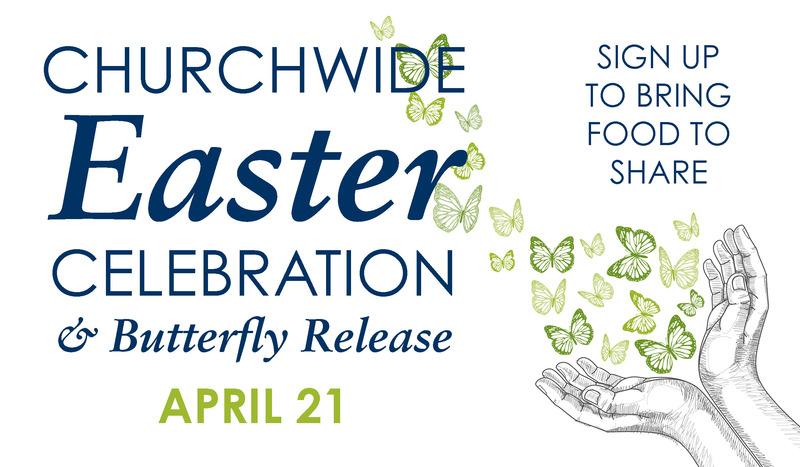 Join us on Easter day between morning services at 10:30 a.m. on the Church Lawn for a Churchwide Easter Celebration and Butterfly Release. We need your help! Food donations and volunteers are needed that morning. Please sign up here to bring a breakfast type finger food or contact Cindy Hauser at chauser@transfiguration.net to help with set up or clean up. You can drop off your food donations on tables by the Bell Tower before the 9 or 9:15 a.m. services. Thank you for your help!